This Trip Report was originally written for the Fodor's Travel Forum. We’re back from our last minute jaunt to Singapore and Thailand and we had a great time. Logistics: We flew United there and back and I have to say having flown so much on their 777s from SFO-London I wasn’t impressed with the 747s they use to Asia…no tvs in the back of the seat for a trans-pacific flight! However, I can’t complain about the price which was less than $550 including tax! 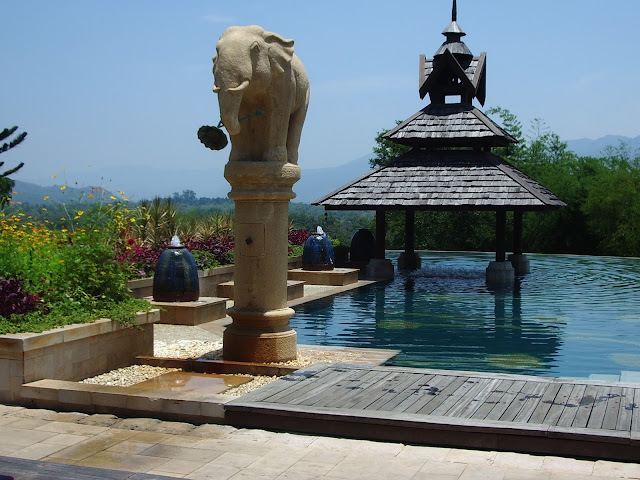 For our internal flights I used frequent flier miles for an open jaw on Thai Airlines Singapore-Chiang Rai and Chiang Rai-Krabi which was a great deal. Generally I try to use miles for creative itineraries that allow us to do something that may be very expensive and I find miles particularly useful for open jaws or stopovers. As Silk Air cancelled their Krabi-Singapore flight we had to take a land transfer to Phuket and flew back to Singapore on Tiger Airways, one of the new low cost carriers, the flight was empty, very cheap and easy to book on the internet. 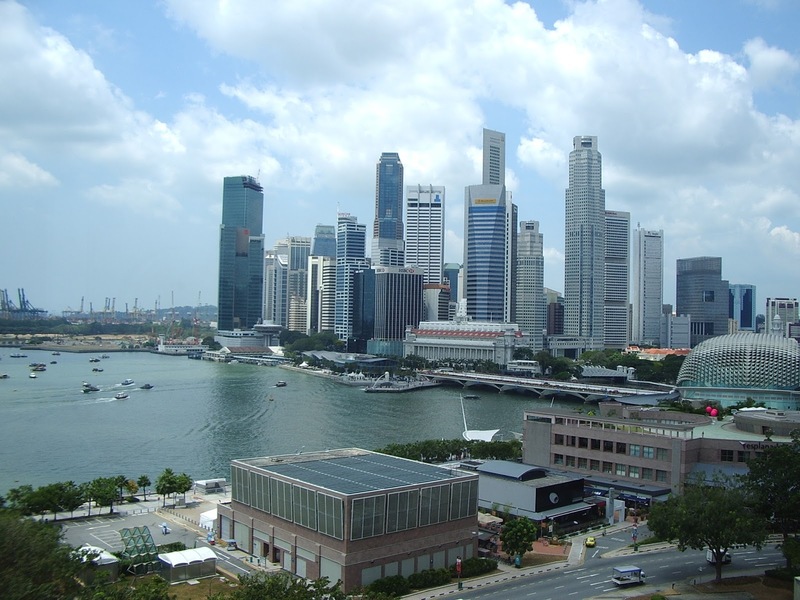 Singapore: Two nights with a late arrival and early departure. We were interested in relaxing and recovering from jetlag and the Four Seasons was perfect. The hotel was well located (close to the seemingly endless shops of Orchard Street…a sort of non-stop mall) and we had a lazy time. The room was great large and comfortable with a swish bathroom. The service was impeccable and I enjoyed a couple of treatments at the spa. The changing rooms and fitness center are excellent, though the spa area is a little more limited. We lay by the pool and then ventured out in the late afternoon to the Botanical Gardens where I really enjoyed the Orchid gardens. It was very, very hot. We tried some of the hawker food as recommended and then headed back to the hotel. Singapore is an interesting multi-cultural place and has a clean ‘manufactured’ feeling to it…the government has now allowed a couple of clubs to open till 6am on the weekend and they’re planning a new campaign that persuades tourists that it’s a hip destination….please save us from the Asian equivalent of the UK’s “Cool Britannia”! The service at the hotel was excellent. We left very early for our flight and they brought tea and coffee to the room and packed an incredible breakfast for us to take to the airport, I was very impressed. 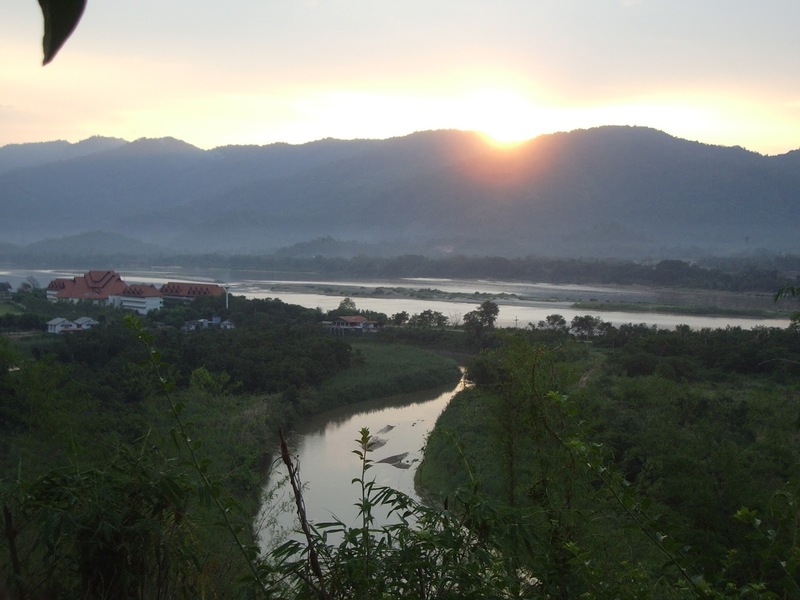 Chiang Rai: We picked up our car at the airport which was very easy. I highly recommend driving in this area, we found the roads were great and the driving was easy. After checking out a couple of Wats in Chiang Rai and a wonderful quick lunch by the side of the road we drove north to our hotel Anantara.The roads were good and I was surprised by how highly developed the areas was with lots of small towns that looked fairly prosperous. It was far less green than I imagined (partly because of the time of year) and quite flat with huge mountains in the distance…I think I was expecting something more like Bali. There were wats in almost every town and wonderful flowering trees in purple pink and bright red. The hotel is very nice and a comforting contrast to the nearby village which is rather tatty and caters to Golden Triangle day trippers. The interiors, gardens and the public spaces are quite lovely, especially at night when lit by small oil lamps. The rooms have been recently redone in that dark wood, modern ethnic pared down Asian style. The suites are about twice the size of the regular rooms with an enormous bath and a long balcony.The Mandara Spa was very professional and suitably stylish with lovely couples rooms and gorgeous tubs on the balconies overlooking the lovely view. Unfortunately the views over Burma and Laos are marred by the ghastly red roof of the Burmese casino which is a dreadful eyesore that fortunately you can’t see from the pool! The swimming pool is gorgeous and we enjoyed lolling around drinking exotic frozen fruit concoctions though I thought it must be packed when the hotel is busy. We went on a day trip to the Queen mother’s estate at Doi Tung which I wasn’t that keen on. It is very, very tourist…lots of school groups etc…which is somewhat interesting in terms of what is attractive and interesting to Thai tourists. The gardens etc are lovely but more European in style than anything else. 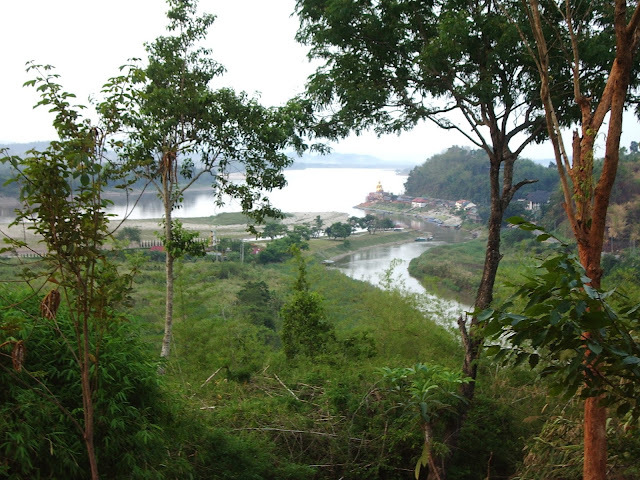 The mountain road along the Burmese border was gorgeous but we didn’t get very far as it was close by the army. We most enjoyed exploring the local markets, which were located in custom built covered areas. Lots of live toads, roasted crickets, pigs heads and unidentifiable fruits. 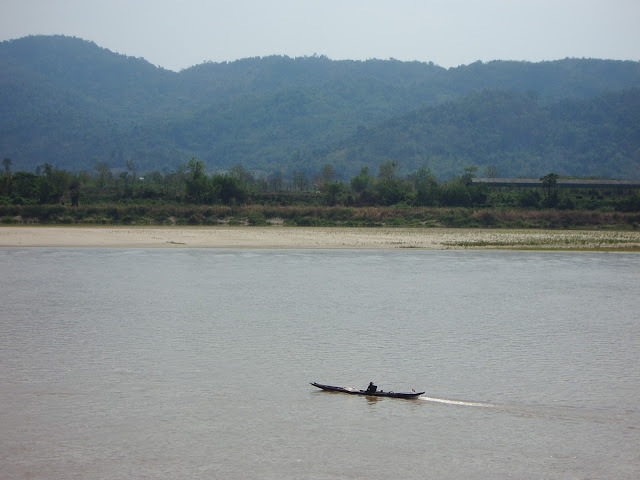 We also enjoyed several trips on the Mekong. It’s easy to rent a boat at any of the small villages or towns and we took two trips. It’s a great way both to beat the heat and to see people fishing or washing on the river banks…fascinating. We enjoyed the food at a number of the pretty small restaurants over looking the river. It was great to sit out and see the cargo boats coming and going to China. Koh Lanta/Pimalai: We really enjoyed our time at Pimilai, after 50 minutes by road from the airport you arrive at their private pier where there was a fabulous large motor boat waiting to take us to the resort. The ride was magnificent….such a glamorous approach with wonderfully dramatic limestone islands rising up from the water. The hotel is built on a long crescent shaped beach and the buildings stretch up the hill with a spectacular infinity edge swimming pool overlooking the sea. The service was wonderful from the moment we arrive, the front desk manager met us at the boat and the assistant manager showed us to our room. They upgraded us to a junior suite with an outdoor bathroom which was so much nicer than the regular room we had booked. We really enjoyed lounging around. I took a cooking class which was fun. We walked down the beach to eat at a great small restaurant. I particularly enjoyed the spa which is like a tropical paradise with great private couple’s rooms with outdoor baths and showers. We went out for a day snorkeling which was great, lots of fish and fun corals, particularly when the rain started and you could look up at the rain form below. We really enjoyed the hotel, the rooms are large and comfortable with no less than three lovely flower arrangements but they’re aren’t quite as modern and stylish as Anantara (they really should change the shower curtain closing off the loo and the yellow tiling). However, the overall feel of the resort is very welcoming and friendly, perhaps because it was so quiet. Again I must admit I wondered how crowded it must be at the pool when the place is busy. All in all it was a great trip…although we only had 13 days but it was well worth going. It was unusual not to pick Bangkok for a first trip to Thailand, but it was what suited us. 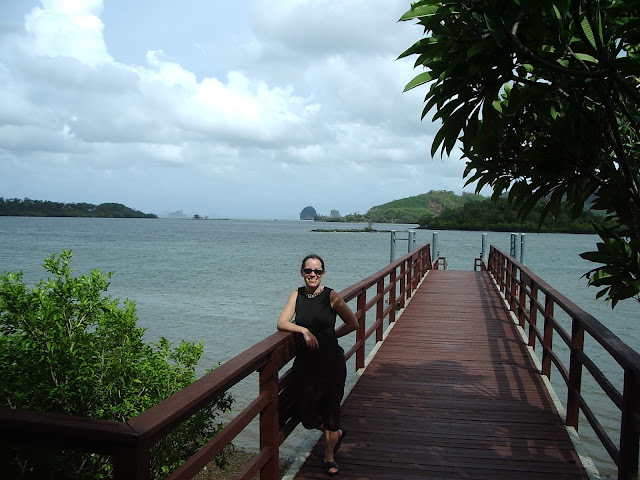 We really enjoyed the south and found the area around Krabi very dramatic and very tropical…we look forward to returning soon!